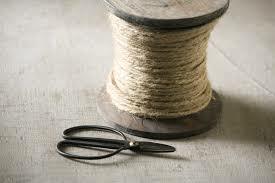 What do Frankenstein and a spool of thread have in common? Luckily, I always woke up right before ol’ Frank stretched his arms out to grab me … but I’m not in counseling – not yet – so at least for now, that nightmare remains nothing more than something I chalk up to watching too many scary movies as a child. As for the other reoccurring nightmare, while I haven’t had it for a very, very long time, I do think about it. And the finality of it scares the crap out of me. It goes like this … there is a humongous – think Jack-and-the-Beanstalk-Giant humongous, spool of thread and there is me. No one else. And nothing else. Just me and the Jack-and-the-Beanstalk-Giant humongous, spool of thread. The thread is white, I think. The spool itself, I dunno, blue maybe. I have the loose end looped around my wrist like the way a balloon is attached to a child’s arm … and I am running. And the spool is unwinding. I keep running and looking behind me at the spool … its spinning fast, and it’s getting thinner, and then I realize that it’s about to run out of thread – but I’m still running, and then. Then right as it empties, I wake up. That nightmare, although like my other one might not qualify as a nightmare by some people’s standards, but it has always scared me … always made me wonder what I was so afraid to let go of, that I had to wake up. And there you have it … a little bit about little me, and the scary thoughts that used to … or maybe (gulp) still ravage my mind and cause my body to shiver. Next Want to know why The Wiggles were always so darn happy?